The second round of the Jakarta gubernatorial election, a face-off between incumbents Basuki “Ahok” Tjahaja Purnama and Djarot Saiful Hidayat and challengers Anies Baswedan and Sandiaga Uno, is looming. While preparations for this election are underway, many artists and experts are hoping that the new governor will support the development of art and cultural scenes in the capital as much as former Jakarta governor, Ali Sadikin aka Bang Ali, did. No one can forget Ali’s hard work changing Jakarta into a capital with vibrant cultural during his tenure between 1966 and 1977. He has become a special icon among the city’s art and cultural communities. Before his appointment as governor by president Sukarno, he had served as sea transportation minister and deputy for the economic and finance minister. While a minister, he visited various countries where he observed everything needed by capital cities. During his visits, he noticed that although a city takes pride in the magnificence of its legislature, supreme court building and city hall, it is never complete without an aesthetic arts center. “Everywhere, art centers have become […] the pride of cities and states,” Ali believed. In January 1968, Ali was requested by artists to officially reopen the abandoned Balai Budaya, a small cultural center on Jl. Gereja Theresia in Central Jakarta. Bang Ali’s official residence on Jl. Taman Suropati, Central Jakarta, followed by other meetings at different homes of fellow artists. 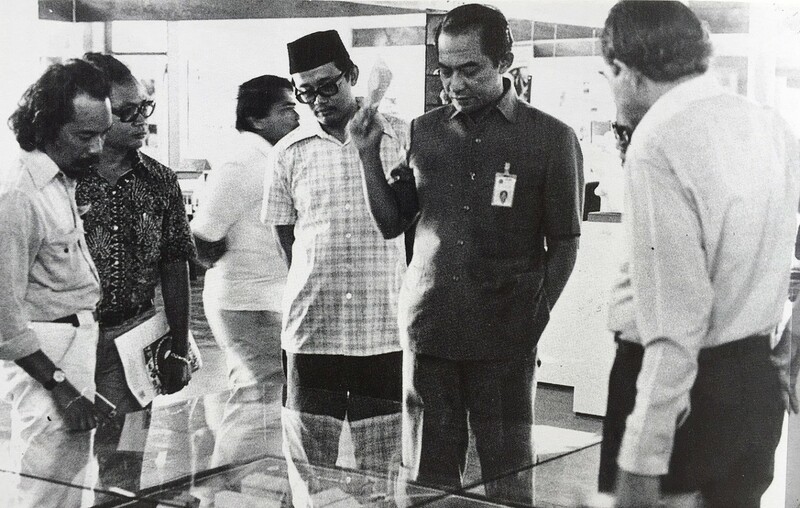 As the result, Taman Ismail Marzuki (TIM) was inaugurated as the capital’s cultural and arts space in November 1968. “I leave it to artists to manage their programs because they’re most knowledgeable about art. The government and I personally won’t make any intervention, except in the case of artistic manifestation really going awry. In principle, the Jakarta administration will only provide its budget,” he said during the launch. TIM gradually emerged as a monumental arts center. Art programs were allowed to flow with the support of logical budget allocations, leading to amazing growth of art activity in Jakarta. This aroused the envy of other cities’ culture and art promoters. To meet the needs of other regions, TIM, through the policy of the Jakarta Arts Council, accommodated regional arts performances at the center, making Jakarta the art capital of Indonesia. 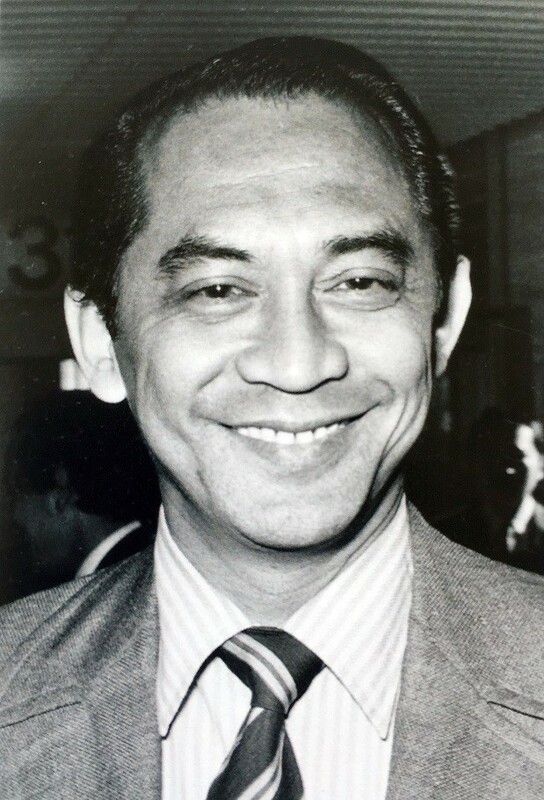 Under Ali’s leadership, Jakarta was given a soul of art. It is determined, “stubborn,” self-confident and progressive, but also productive and artistic. After establishing TIM, Jakarta beautified its Ragunan Zoo, built the Monas Amusement Park and five youth centers. Ali also initiated the Jaya Ancol Dreamland, launched the Betawi (Jakarta) culture preservation program in Condet, East Jakarta, and revived the Gambir Night Fair in the form of the Jakarta Fair. Kampung Tangkiwood, the village of senior and populist artists, was rehabilitated and the Jakarta Art Educational Institute was built. Now it is known as the Jakarta Art Institute. Even the minorities in the arts world weren’t left untouched, such as Betawi’s lenong (folk play), topeng (mask dance), ondelondel (large puppet performance) and kerak telor (crust omelet). “He was respectful of cultural figures and had trust in artists. Bang Ali may have been inspired by the spirit of president Sukarno,” former Jakarta Arts Council chairman Umar Kayam said of Ali’s success. 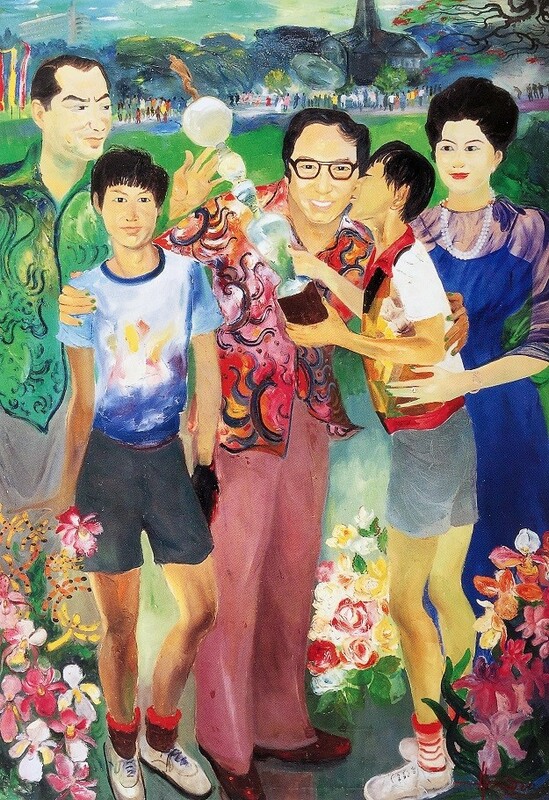 Painter Hendra Gunawan, now living in Bandung and Yogyakarta, described Ali as one of very few political leaders willing to have dialogues with non-political people. “He was a noble personality. I admire him very much,” he said. 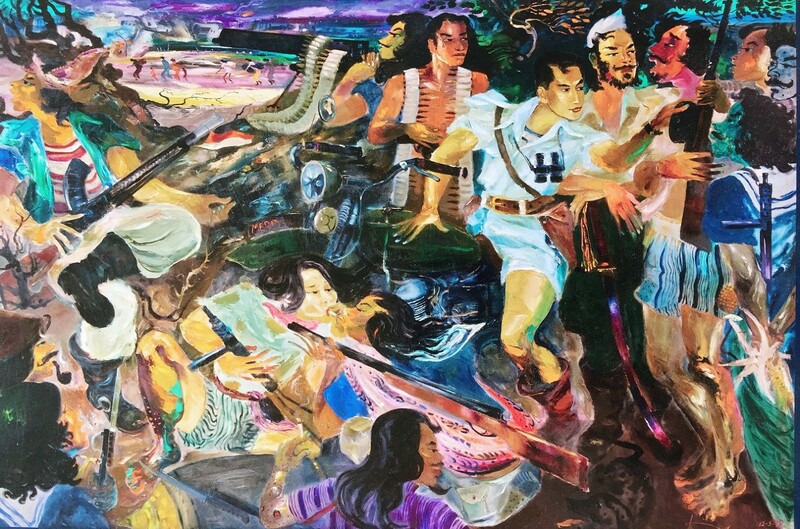 In 1978, Hendra Gunawan finished his painting entitled Ali Sadikin dalam Perang Kemerdekaan (Ali Sadikin in the War of Independence) to represent the painter’s admiration of the governor. The 200x302-centimeter picture depicts Ali Sadikin among freedom fighters, sitting on a big motorcycle ready to receive a bunch of corn offered by one of them. Ali is clad in a white Navy costume with binoculars hanging from his neck. The colorful and ceremonial painting was then granted to Ali. For decades, it hung in the sitting room of Ali’s house on Jl. Borobudur, Central Jakarta. The painting was eventually auctioned by art dealer company Sotheby’s in Hong Kong and was sold for HK$33.2 million (US$4.27 million). This high price was associated with the enthusiasm for the upcoming Jakarta gubernatorial election. Many agree that Ali is actually an exceptional “culture and art” governor. Therefore, when Bang Ali was no longer in office, many people associated the declining image of the capital as the art and cultural center with his absence. The second round of the 2017 Jakarta gubernatorial election has begun and soon the capital will have a new governor, but will the governor elected later be capable of promoting culture and art in Jakarta in the way Bang Ali accomplished?